Bridges are everywhere to cross one of the canals. 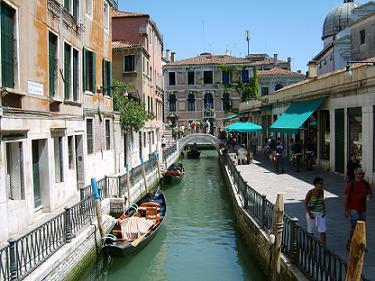 The most famous one is the Rialto Bridge over the Grand Canal. Outside the heart of the city it’s not that crowded. 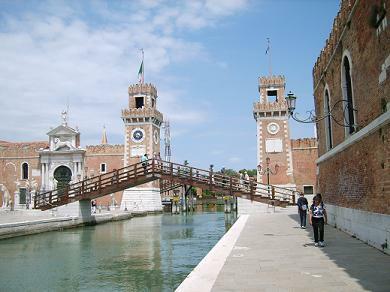 The historic centre of Venice and lagoon is an UNESCO World Heritage Site since 1987. 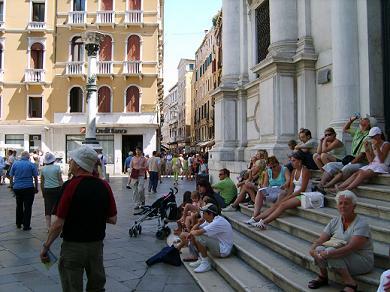 The majority of the tourists are staying in the historic centre (6.4 million). About 550.000 tourists were staying on the Lido island. Taking a rest. In summer months the temperature is 30-35 degrees Celcius.